Many of us reflect back on the early 2000’s as a true golden age for the music that we love the most – the term “emo” hadn’t yet been bastardized by the mainstream, Drive-Thru Records was putting out release after release of foundational pop-punk, and no one had really thought yet to dress up a metalcore breakdown in guyliner. 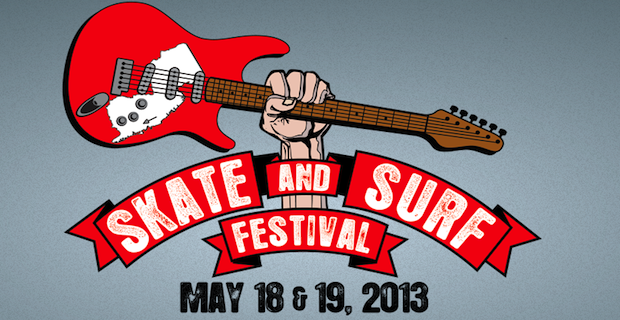 The Skate And Surf Festival, an annual celebration of these acts and genres, leveraged its way into legend status after only three full years of activity by compiling lineups of the best and most important bands of the time, many of which were in their heyday. For a comprehensive history of bands like Fall Out Boy, Bayside, Streetlight Manifesto, and Glassjaw, check out the feature here.